Welcome to SIAL Canada Toronto! SIAL Canada 2019 is being hosted by Toronto, one of the most cosmopolitan cities in the world, a place where international ideas intersect with Canadian culture. Toronto is historically the economic capital of Canada, acting as a key location for multicultural gatherings and innovation - like SIAL Canada. Come meet us in one of North America’s most vibrant trade hubs! 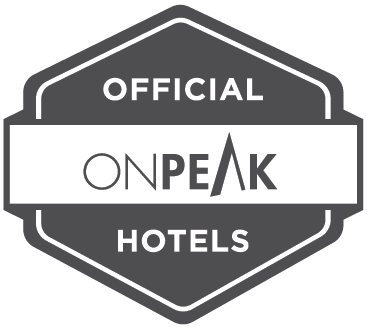 SIAL Canada partnered with OnPeak, where you can find a great selection of hotels with free shuttle access to the show every 30min! If you are visiting from abroad, take note of all relevant information to ensure complete peace of mind when you travel. Here the list of countries that require a visa to enter Canada. Travel by train and get 10% off your ticket with VIA Rail Canada using code: 13871. Valid for all trains of VIA network from April 28th to May 4th, 2019 to Toronto, back and forth. Fly to SIAL Canada with Porter Airlines to get a 10% discount on available base fares. Please book online using promo code: SIAL19. Valid for flights from April 27 to May 3rd, 2019. Fly from all Canada, USA and international to SIAL Canada with Air Canada and get a fair discount on your flight. Please book online using promo code: UXFTD9P1. Valid for flights from April 23rd to May 9th, 2019. Want insight into the grocery industry while in Toronto? seeing the latest flagships from leading retailers in the city. Come enrich your knowledge thanks to our experts on site. FAKE EMAILS! If you received suspicious emails, this is FRAUD! Find out our recommandations to avoid this situation.